Push Bar Door Lock Repair and Replacement in Atlanta, Brookhaven, Decatur, Stone Mountain, Norcross, Tucker, Dunwoody, Smyrna and Chamblee, GA.
Push bars are great for businesses. In fact, in many places, it’s against local code and regulations not to have one installed. Doors that are frequently used often wear out after a few years of heavy use. If you’re experiencing problems with your businesses’ push bar or panic bar, then you’ve come to the right place. QuickPro Locksmith provides a variety of commercial locksmith services in the Atlanta area, including lock changes, lock rekey services and much more. QuickPro Locksmith of Atlanta, Georgia also specializes in push bar repair and push bar replacement services. 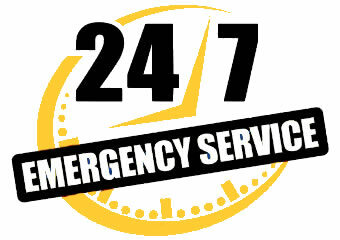 Give us a call and schedule an appointment with one of our professional local Atlanta locksmiths. QuickPro Locksmith provides service in Atlanta, Georgia and surrounding cities including: Brookhaven, Decatur, Stone Mountain, Norcross, Tucker, Dunwoody, Smyrna and Chamblee, GA. Businesses in Atlanta, GA are required by the fire department and public health to have a specific number of exits on a property. The amount necessary varies depending on the size of the building, and your locations maximum capacity. For Atlanta companies that need several emergency exits, getting a quality push bar installed is essential. Most city ordinances make this a requirement to avoid tragedy in the event of an emergency situation. In cases where people need to make a fast exit, like during a fire, there should be no reason to struggle with a door lock to get customers and employees out of the building. The experts at QuickPro Locksmith can even hook your push bar up to an alarm system to sound when used. Panic bars are the best way to provide an easy, reliable way to open the door. If you already have a push bar installed at all of your exit locations, it’s important that you test them regularly. While some doors are used on a daily basis, there’s sure to be one or two that hardly ever get opened. During testing, if you notice that one of your push bars is damaged or no longer works properly, be sure to call in the professionals at QuickPro Locksmith for your push bar repair and/or a push bar replacement. We have the best locksmiths in Atlanta, GA on staff, and our affordable prices can’t be beat. 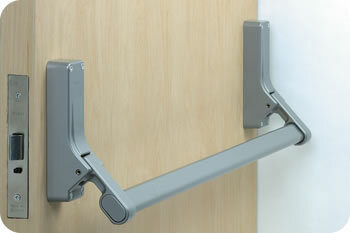 You can get a wide variety of push bar systems for your businesses doors. However, one popular option is to get a push bar installed on doors with no outside lock. Having multiple entry points is a security risk for any property. By installing push bar systems with no outside lock, you will ensure that no one can easily access your Atlanta location, while still providing an emergency exit for the people inside your building. If the door is hooked up to an alarm system, you will become immediately aware that someone may have broken into one of your doors. If your business needs a push bar repair or push bar replacement for your door, give QuickPro Locksmith of Atlanta, Georgia a call today and schedule an appointment with a locksmith expert.